In a unanimous decision, Huntsville council has approved Skyline International’s massive $500 million investment in Deerhurst Resort. 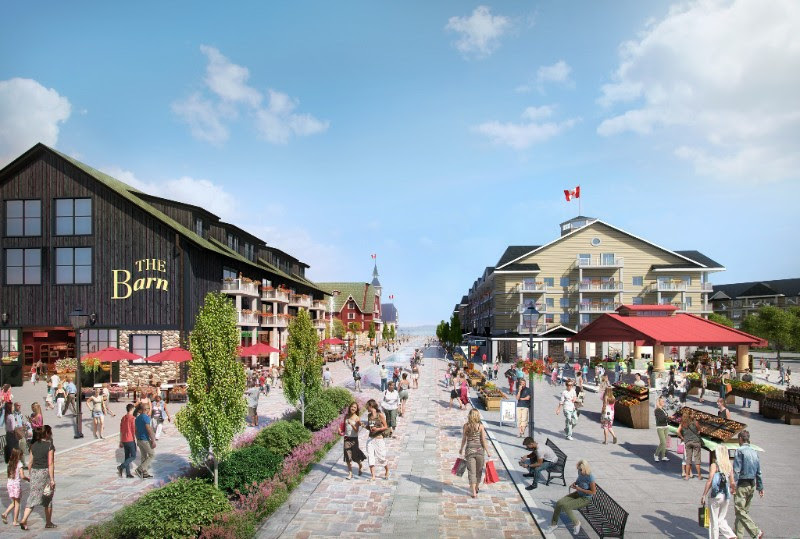 The investment, which will include a new village centre and a master-planned community, will be the largest in Muskoka’s history. Gil Blutrich, Chairman and President of the Toronto-based developer, said he’s excited to put the investment to good use. Scott Aitchison, Mayor of Huntsville, also expressed his enthusiasm. The money will go towards 150 new hotel rooms, 45,000 square feet of retail space and boutique, mixed-use buildings with almost 500 residential units. Skyline will also be spending an additional $10 million upgrading the resort’s Legacy Hall, Compass Lobby Bar, Pavilion guest rooms, Maple Pub and fitness centre as well as the lakefront space. Michael Sneyd, CEO of Skyline, said that part of the company’s mission is to preserve the feel of the community while improving its infrastructure. “Deerhurst is iconic to Canadians. It’s synonymous with Muskoka. We want to make sure we are honouring this historic brand and the communities that surround it in everything we do. That is our mission,” he said. In addition to this project, Skyline International owns over two million square feet of real estate across Canada. A few of its assets include Toronto’s Omni King Edward Hotel, Pantages Hotel and Spa, Horseshoe Resort and Lakeside Lodge, a condominium project in Skyline’s Deerhurst Resort in Muskoka. To find out more about Skyline, visit skylineinvestments.com or call 416 368 2565.